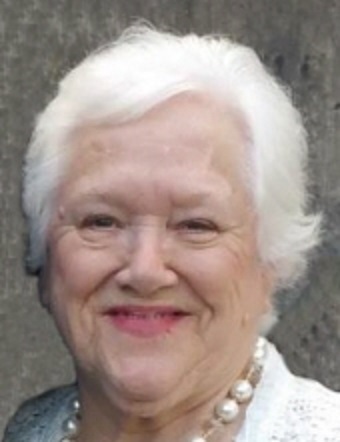 Bernadine Toohill, 80, of Heyworth, IL passed away 8:52 PM March 31, 2019 at Sugar Creek, Normal, IL. Mass of Christian Burial will be 10:00 A.M. Saturday, April 6, 2019 at St. Patrick’s Catholic Church, Wapella, IL with Rev. Fr. Geoff Horton celebrant burial will follow at St. Patrick’s Cemetery, Wapella, IL. Visitation will be 4 – 7 P.M. Friday, April 5, 2019 at St. Patrick’s Catholic Church, Wapella, IL. Calvert Funeral Home, Clinton, IL is in charge of arrangements. Memorials may be directed to the Transition Hospice or Wildlife Medical Clinic at Illinois College of Veterinary Medicine University of Illinois. Bernadine was born August 5, 1938 in Clinton, IL the daughter of Ray “Red” and Clara (Joy) North. She married Lawrence P. Toohill August 9, 1958 Wapella, IL. Survivors include her husband, Lawrence P. Toohill, Heyworth, IL, children, Cheryl (Robert) MacKichan, Champaign, IL; Clara (Mark) Gresham, Heyworth, IL; Mary (Gene) Whitted, Wapella, IL; Rose (Dave) Szymkiewicz, Bloomington, IL; Paula (Jim) Kreie, Champaign, IL; Raymond (Martina) Toohill, Wapella, IL; Rebecca (Nick) Buraglio, Savoy, IL; 16 grandchildren, Cameron (Hanna) MacKichan, Ian (Tess) MacKichan, Lauren MacKichan, Tyler (Christa) Haynes, Bryce (Emily) Haynes, Neil (Breanna) Whitted, Ross (fiancée Cassie) Whitted, Cole, Dmitri, and Victor Szymkiewicz, Jordan (Megan) Kreie, Mary Allison Kreie, Haley & Ashley Toohill, Luke & Zack Buraglio, 6 great grandchildren, Averie, Hadley, and Blakely Haynes, Kaylee & Michael Whitted, Brylee Toohill-Summers, and one on the way in July, siblings, Herbert (Donna) North, Clinton, IL; Rose (Charlie) Wilson, Clinton, IL; twin brother, Bernard (Pat) North, Clinton, IL, and sister-in-law, Marilyn North, Clinton, IL. Bernadine was preceded in death by her parents, 2 Brothers, Raymond S. North and Paul D. North. Bernadine was a stay at home mother, later a cook at the Wapella and Clinton School District. She enjoyed sewing, cooking, auctions at the Wapella Auction House, refinishing antiques, and most of all she loved spending time with her family.